Disclaimer: Before reading this review please keep in mind, I am not a self proclaimed beer expert, I am just a home beer brewer who enjoys beer. 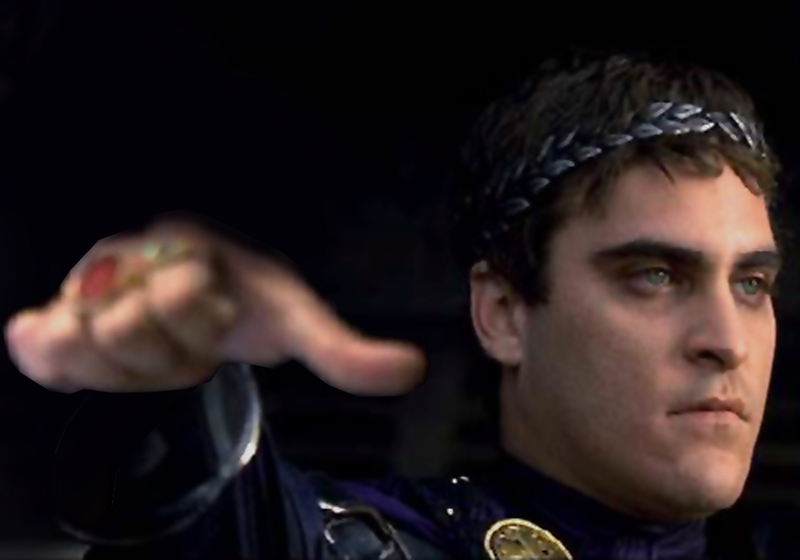 My posts do not typically go into great detail and may be unconventional in their format; they are simply intended to help people with similar tastes avoid bad beers and find great beers. It was a Sunday night and my brother had invited me over for dinner and I thought that I would bring a beer over. 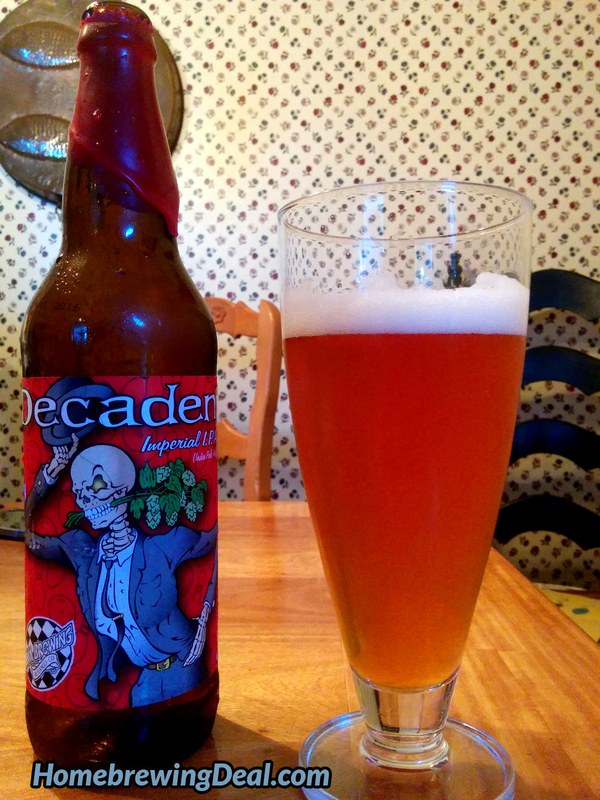 I had selected this Ska Brewing, Decadent Imperial IPA since I knew it was 10% ABV and if it was terrible, I did not want to have to drink it all by myself. Sorry brother. Any time I see a wax covered top to a bottle I always worry that the brewery is trying to hard because the beer can’t sell itself; it is kinda like the push up bra of beer bottles. So about the beer. It was not bad, but it was not great. In my opinion some breweries go way to far with their double and imperial IPA’s. They typically make them too strong and the hop profile gets over powered by the taste of malt and or alcohol. One of the reasons why Pliny the Elder is so good is that they balance it so well, is contains 20% less alcohol by volume than this beer and the hops are allowed to be showcased. Anyhow, back to this beer. It had a nice head, nice body, great color, mediocre clarity, but just tasted alright. Not a bad beer, I might even order it again if I saw it on tap, was having a bad day, there was nothing awesome on the beer board and I just wanted to get drunk. Only $495 for a homebrewing stainless steel conical fermenter! I came across this incredible deal at WestCoastBrewer,com where you can get a 14 gallon Stainless Steel Brew Tech Fermenter for only $495 or a 7 gallon fermenter for only $395. These are high quality 304 stainless steel, conical homebrew and home wine making fermenters. Here is a photo of the 14 gallon version, but they also have them in half barrel capacities. 13 Gallon Capacity (w/o lid) 14 with the lid on. There are many reasons to use a stainless steel fermenter over a glass carboy and at this price it makes the decision an even easier one. Coupon Description: MoreBeer.com currently has a deal of the day going on where you can save some money when you purchase one of their hombrewing maple wood mash paddles, perfect for your homebrew beer batches or stirring your home made wine! This coupon code is for a wooden mash paddle. This carved wooden mash paddle will allow you to stir in your mash on all-grain batches from 5 to 40 gallons and works great for extract brewing as well. The mash paddle is 36″ long with four large holes cut in it for easy stirring. The paddle is hand carved in the USA from a single piece of hardwood maple and has a smooth sanded finish. Also, it is oil free and will not transfer any foam killing oils into your beer. There is also a small hole at top of the mash paddle for easy hanging and storage. 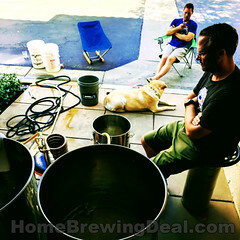 Thanks for stopping by the Homebrewing Deal Blog! 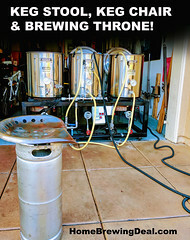 Coupon Description: MoreBeer.com currently has a deal of the day going on where you can save some money when you purchase a carboy and keg washer! This coupon code is for a Mark’s Mark II Keg Washer and is designed to clean and sanitize homebrewing vessels like kegs and carboys. This homebrew washer can also be used to sanitize home beer brewing items like fittings, airlocks, thermometers and tubing. Midwest supplies currently has a promotion going on where you can get 2 of their newly designed siphonless big mouther bubbler home beer brewing and home wine making fermenters for just $49.99. This new siphon less big mouth bubbler homebrewing fermenter is easy to use and better for your beer than previous versions. You can now reduce oxidation and contamination by keeping your fermentor closed during beer transfers. Another bonus is that you will have clearer beer transfers as well since you can rack beer or wine from the spout without disturbing the trub at the bottom of the fermenter. 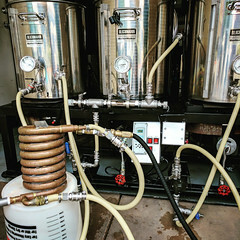 Coupon Description: MoreBeer.com currently has a deal of the day going on where you can save some money when you purchase a stainless steel mash tun for use with coolers and converted sanke kegs. This coupon code is for a stainless steel homebrewing false bottom. It is an ideal homebrew false bottom for use with 10 gallon round beverage coolers or larger. It works great with Rubbermaid circular coolers. This stainless steel false bottom is made from stainless steel with 3/32 perforated holes on 5/32 centers. The false bottom also includes a 3/8 inch barb fitting. Coupon Description: HomebrewSupply.com currently has a promotion going on where you can save 25% on select homebrewing beer recipe kits. One of the homebrew recipe kits included in this promotion is their Robust Beard Porter Beer Kit. This bold porter beer kit is comprised of pale malt, caramel malt, chocolate malt, special b malt and black patent malt. This homebrew porter beer is packed with rich caramel, chocolate and coffee notes that are mixed with a deep malty flavor. This promotion is for a limited time only and if you are a first time Homebrew Supply customer, you can save an additional 10% off of your first order by signing up for their mailing list! A 5 Gallon Homebrew Pot for just $19.99! 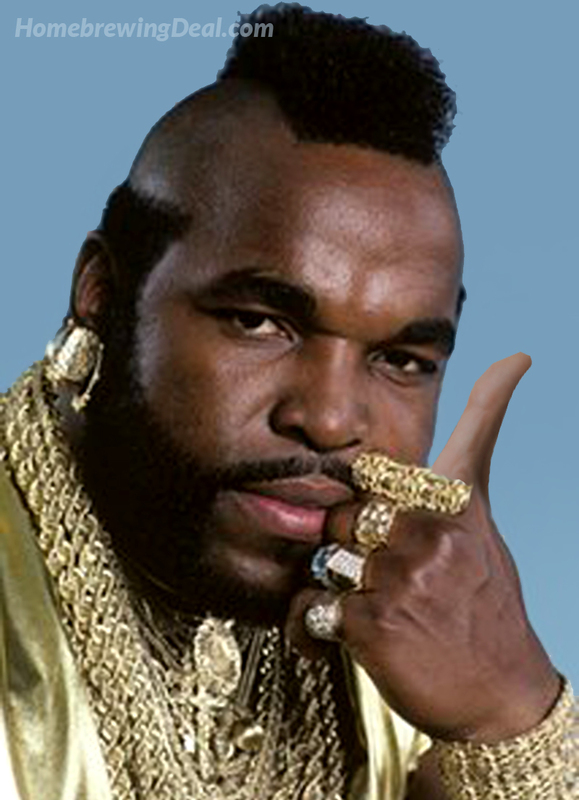 Yes, I am serious. Coupon Item Description: Honestly, I had to check twice to make sure that this price was for real. This is a brand new entry level 5 gallon stainless steel home brewing pot. The kettle is built from 18/8 stainless steel. The brew pot holds 5 Gallons (20 Quarts) and measures approximately 10″ tall and 11.5″ in diameter. Granted you may not impress too many people with this kettle but I doubt you can find another 5 gallon brew kettle for a better price. 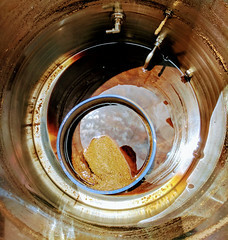 It is great for an extract brewer who is just getting his or her feet wet in home brewing. Coupon Description: HomebrewSupply.com currently has a promo code offer where you can save some cash when you purchase a homebrewing plate chiller. This Homebrew Supply wort chiller will allow you to bring your wort from a boil to fermentation temperate fast! The Shirron wort plate chiller is a highly-efficient and compact plate-type wort chiller that is made from 10 plates of 316 stainless steel. This plate chiller is very effective at rapidly reducing wort to pitching temperatures. The chiller has 1/2″ NPT threaded male hookups for the wort, and male Garden Hose fittings for the chilling and waste water. Wort may be pumped or gravity fed through the chiller. So, the other night I got home from work, put some People’s Court on the TV, as I often do, and then grabbed myself a beer. 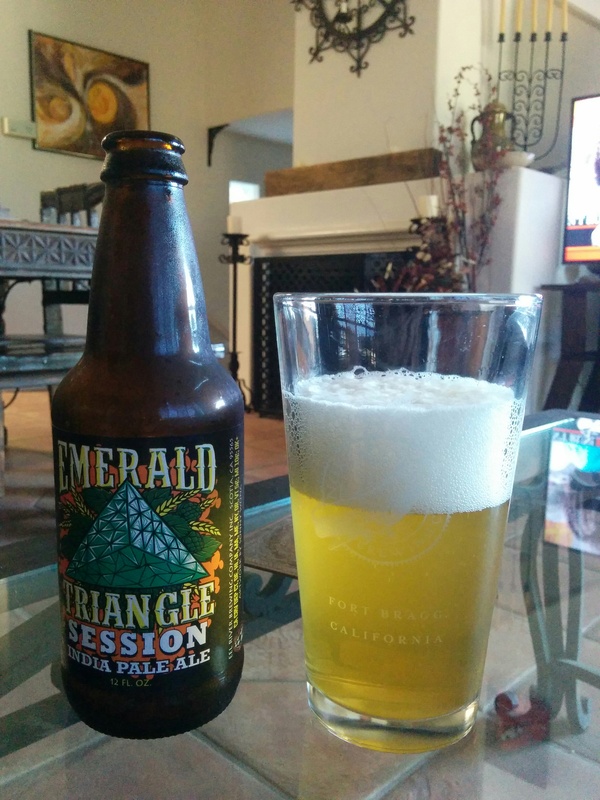 I sat down and poured this Eel River Emerald Triangle Session IPA. I am not sure if this is the People’s Court talking, but I really enjoyed it. Let me get the not so great stuff out of the way first. The color is not ideal, kinda a piss yellow, but the beer had pretty good clarity and a nice head. The body and mouth feel were a bit thin but that is where my complaints end, and it is a session ale after all, so I can not really complain about a thin body. The hop profile of this beer is fantastic, bursting with tropical and citrus notes; it tasted fresh and the flavor did not dissipate after a few sips. I am at this moment looking forward to having another one, and watching another episode of People’s Court. I know that Eel River makes a full on (non session) IPA version if this beer and I would like to check it out because if this beer was a touch fuller on body, I would imagine it would be fantastic.